Three more oil firms announced a fuel price hike effective today, a television report said. Big players Petron Corp. and Chevron raised diesel and kerosene prices by P1, and gasoline by 50 centavos per liter. Phoenix, a smaller player in the oil industry, implemented a similar fuel price increase. The announcement from Petron, Chevron and Phoenix followed the earlier advisory from Pilipinas Shell, which also raised pump prices. Oil firms said the series of fuel price hikes are inevitable due to the rising cost of crude oil in the global market. 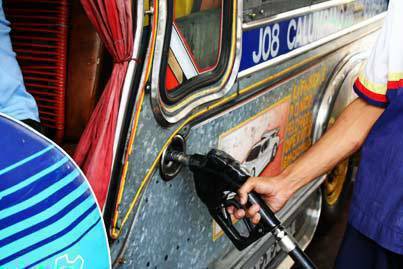 Local news program, Saksi, said the price of gasoline has gone up by P14.50 and diesel by P10.05 since the start of the year.